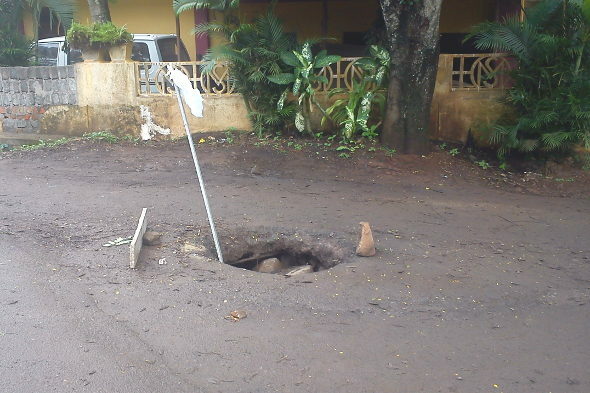 On September 1, 2012 we had reported a story Open manholes a death trap. The same photo and matter was put forth to the Corporation commissioner by the members of the Belgaum chamber of Commerce and industries on Friday when they met her with all the civic problems. 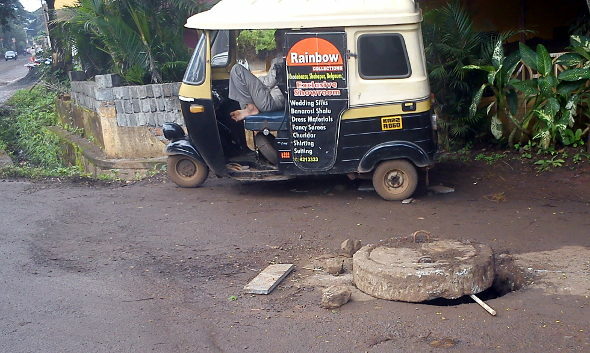 It seems the corporation has acted on this and placed a cover on the open man hole situated at Swami Vivekanand Colony 3rd cross, just at the junction of Congress road and the said cross near More store on Congress Road. But seeing at the manner in which the same has been closed still makes us think how the corporation works. BUT WORK IS NOT DONE PROPERLY, IT’S STILL DANGEROUS TO MOTORIST SPECIALLY TWO WHEELER.